Protect early crops and tender plants against the weather, insect pests and damage from small birds with our 17g Warmacrop™ fleece. 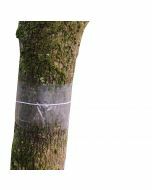 Water, light and air can pass through the material ensuring your plants get everything they need whilst being protected down to -2/3ºC. 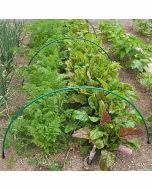 Vegetables & Salad Crops: Cover the crop immediately after sowing or planting and secure the fleece on all sides. Tender Plants and Shrubs: These should be loosely wrapped and secured with string if a frost is forecast. It is preferable to use Fleece 30g for this purpose for added insulation. In the Greenhouse: Loosely drape the material over sensitive plants if there is a risk of frost. If the frost forecast is severe a double layer may be used. Seed Trays and Cuttings: These may be covered continuously which will help prevent moisture loss and aid propagation. 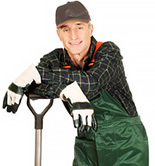 Reseeding Lawns: When reseeding, cover with fleece immediately after sowing. 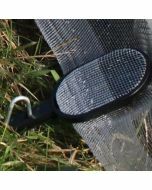 This protects against small birds and conserves moisture, giving quicker and more even germination. When to Remove : Crops should not remain covered for more than six to eight weeks. Potatoes may be covered until the danger of frost has past. If the crops depend on insects for pollination it should be removed during flowering. 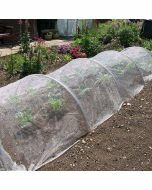 Cucumbers, melons and courgettes will benefit from long term covering with fleece as they appreciate a more humid environment. When the fleece is removed the plants may suffer 'shock'. 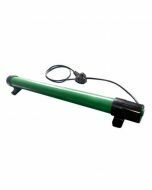 T minimise this remove the cover only during mild conditions, not during periods of bright sunlight or low temperatures. Reuse: The fleece may be washed at a low temperature using a mild detergent.